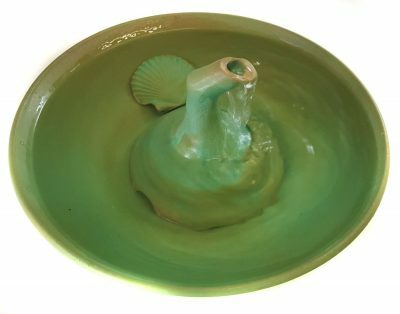 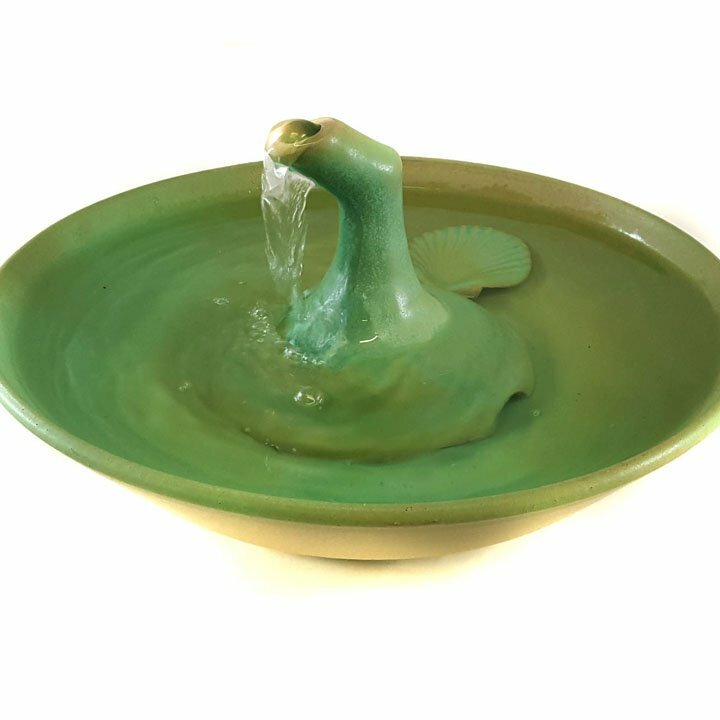 Cat drinking fountain in a Zen design in our Weathered Green glaze. * 3.25 inches high and 11.75 inches in diameter. 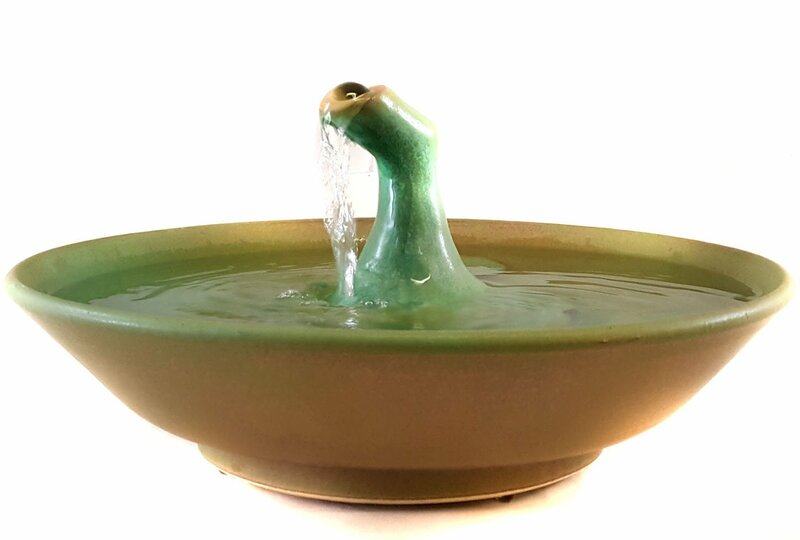 A beautiful cat drinking fountain in a Zen design in our Weathered Green glaze. Delivers a smooth, robust stream you can turn up or down. Your cats can drink from the stream and the bowl.